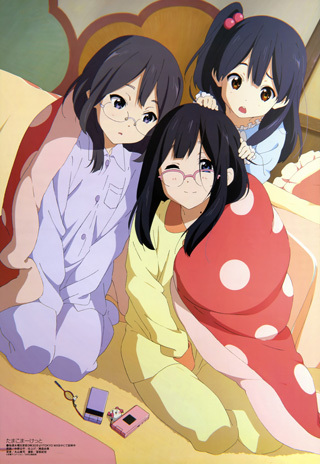 Kyoto Animation, or 'KyoAni' as they're called by their fans, have a long history of shows about cute girls. They're most famous for animating The Melancholy of Haruhi Suzumiya, K-On!, and Nichijou, three incredibly popular shows that are, well, all about cute girls. But these previous works have all been based off of existing stories, such as manga and light novels. What happens when the skilled people at KyoAni get to create their own original show? More cute girls, obviously! 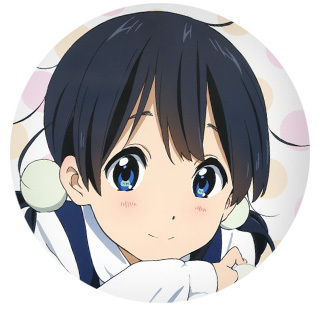 Tamako Kitashirakawa is a first-year in high school and is enjoying life while working for the family business, a mochi shop. 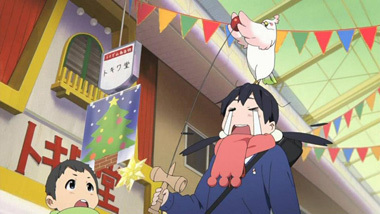 We meet an eccentric cast of characters that populate the downtown market called Tama-ya, such as Tamako's overprotective and boisterous father, Mamedai, or her younger sister Anko. 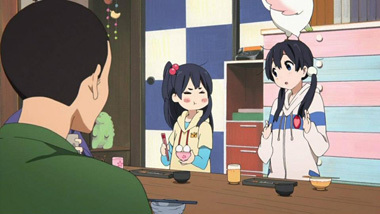 Across the street is a "competitor," another family-owned mochi shop where Tamako's childhood friend Mochizo Oji lives. 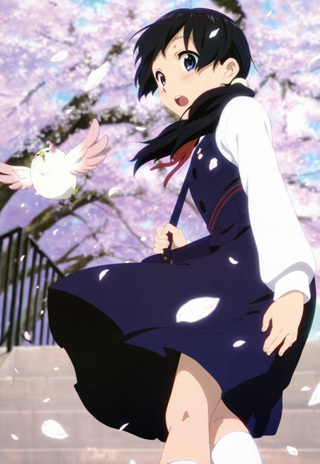 As is probably obvious, he has a bit of a crush on Tamako. 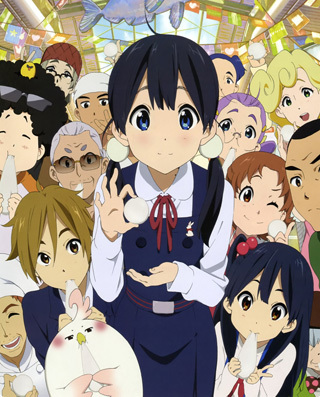 Tamako's pleasant life is interrupted by a new friend, though: Dera Mochimazzi. He's a bird. A talking bird. Dera is searching for a bride for his prince in a faraway land, but we're only given bare glimpses into who or where this prince is. 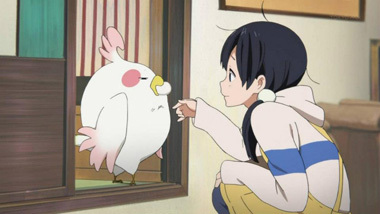 At any rate, Dera crash lands into Tamako's life and grows fat on her family's delicious mochi, all while hunting for a bride. Being that this is a slice-of-life show, it takes things at a leisurely pace. By episode seven we only just get to learn a bit more about Dera's project. 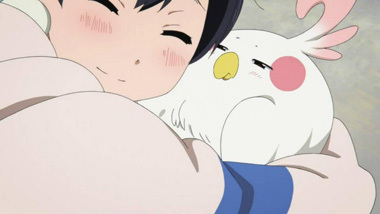 At this point it's hard to say how much the show will focus on Dera's "bride hunt" storyline, but it's safe to guess that most of the show will revel in Tamako's daily life. And that's ok! 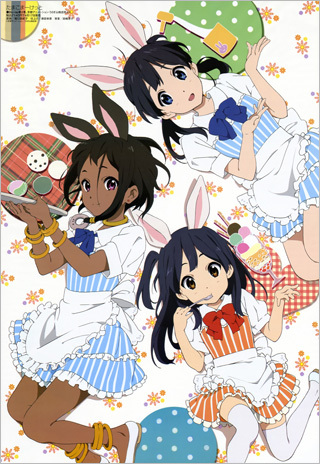 KyoAni does slice-of-life like no other. They capture those lazy summer days and child-like sense of friendship exceedingly well. So if that's what you're here for, you'll be in luck. 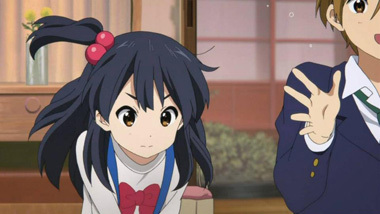 The only downside at this point is that it begins grow a bit too similar to K-On! or their other works: it feels like you've seen these same characters do this all before. But, despite that, they wind up being incredibly endearing. Another strong suit of the studio is the animation. 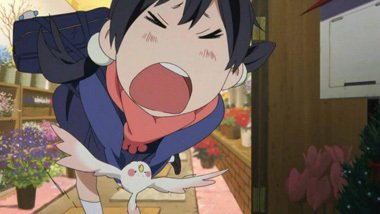 Little flourishes in movement combined with solid storyboarding makes Tamako Market a joy to watch. The art style, while practically the same art style used for K-On!, is still visually attractive - and the character designs are equally delightful. 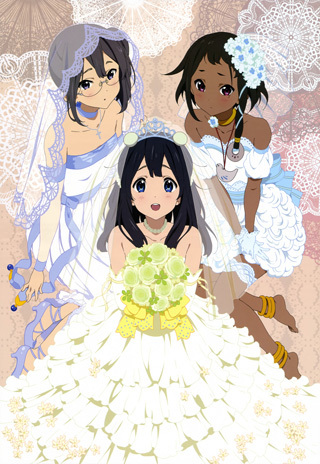 Suffice to say, KyoAni, as always, knocks it out of the park in the art department. The real star of the show, though, is Dera. The cantankerous bird steals the spotlight in every scene, and injects a bit of energy into otherwise mellow acts. 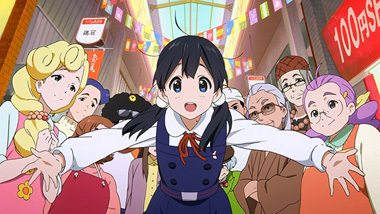 Dera alone should have enough energy to give Tamako Market that extra boost to make it memorable even if they drop the ball on the "bride" storyline. 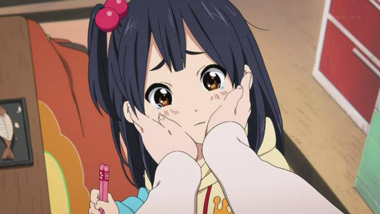 While at first it seems like KyoAni simply can't stay away from "cute girls doing cute things," Tamako Market actually has quite a bit going on, from both an artistic and a story perspective. It's great to see them tackling an original anime and giving their talent a chance to stretch their wings... if you'll pardon the pun. 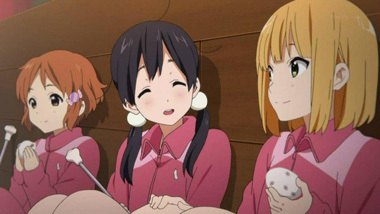 So far, Tamako Market has all the trappings of a perfect slice-of-life show, so with any luck, the rest of the show should follow suit. Mochi! 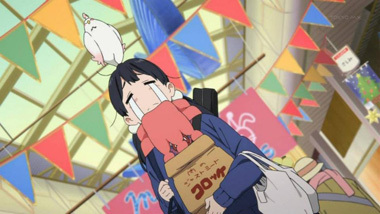 Below: Scenes from Tamako Market. 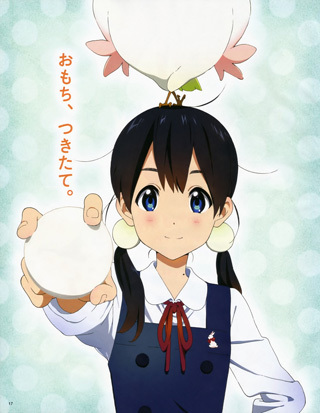 Below: Promotional illustrations for Tamako Market.